Between the prestigious Glasgow School of Art, long line of Turner Prize winners and constellation of well-established galleries, it’s fair to say that Glasgow is the resplendent star of Scotland’s art scene. Here, we profile the must-see galleries perfect for art lovers. 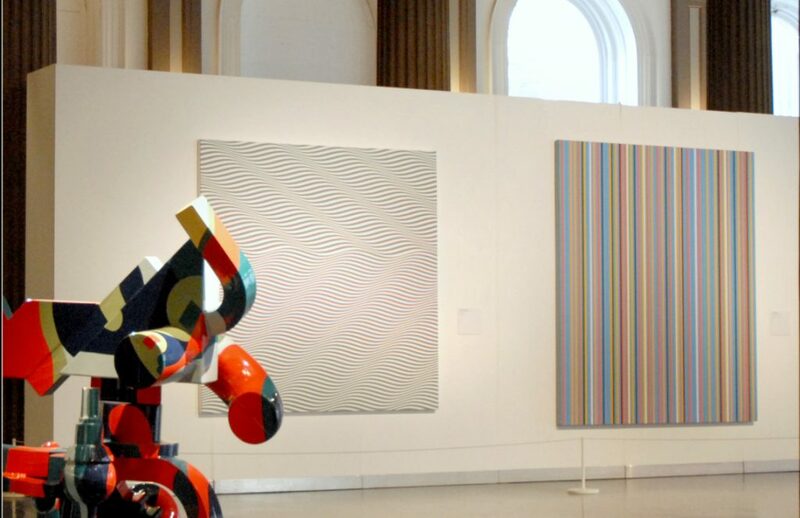 Glasgow’s Gallery of Modern Art is home to an enticing array of permanent and temporary exhibitions showcasing the masterpieces of acclaimed local and international artists. The wondrous works within this neoclassical building and the former abode of a rich tobacco merchant are both invigorating to the mind and soul. Similarly, the biannual projects serve as a vehicle for illuminating and highlighting pressing sociopolitical and cultural issues. Bursting with evocative visual narratives and conceptual pieces, GoMA takes the crown as Scotland’s most visited art gallery. A trip to Transmission Gallery is an absolute must, especially during times when the soul is tired or craving creative stimulation. This artist-run affair is a proud purveyor of the avant-garde and off-kilter, with a firm nod towards out-the-box thinking. So much more than just a gallery and the city’s longest running artist-led one at that, Transmission puts its heart, mind and soul into working with artists on every part of the production process and beyond. If you want more than a pretty picture, this is it. No trip to Glasgow is complete without a visit to Kelvingrove. 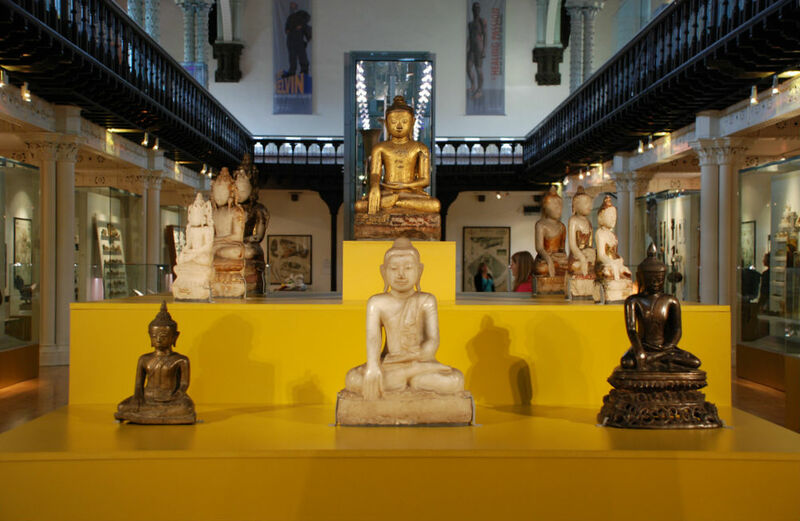 Made of notable red sandstone, this iconic art gallery and museum lures thousands of art enthusiasts every year, each as eager as the next to witness the impressive collection of European art. Works by Rembrandt and Renoir stand out from the 8,000 objects, with Salvador Dali’s ‘Christ of St John of the Cross’ stealing the show. An epicentre of contemporary allure, The Modern Institute champions variety and trailblazing mentalities. 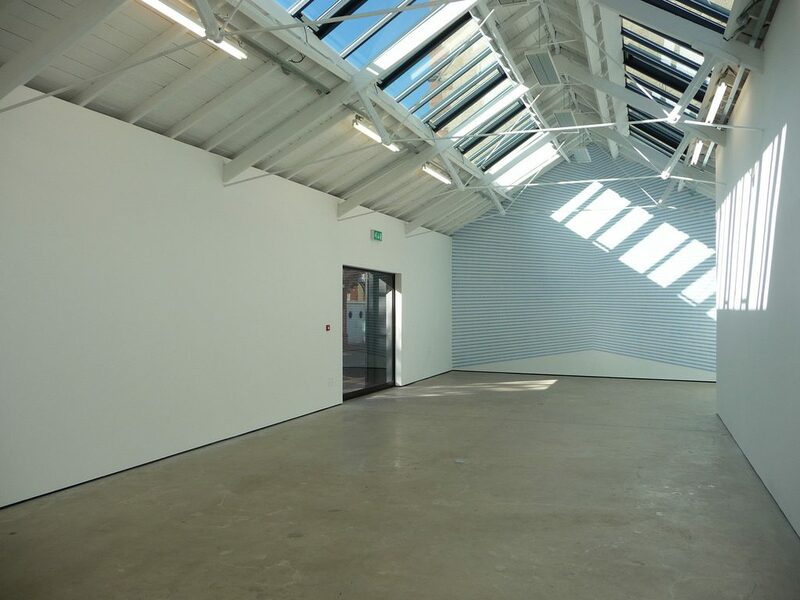 This tried and true arty space, with its blank canvas white-washed walls and cascading floods of natural skylight rays, hosts both commercial and conceptual contemporary artworks. The flurry of private and public shows are also well received. Since its formation in 1997, the gallery has curated countless projects with internationally established and emerging artists — think Martin Boyce, Jim Lambie, Anne Collier, Richard Wright and Cathy Wilkes — and publishes a plenitude of monographs and artist books. Worthy of umpteen stars and bestowed with raving reviews all-round, the Glasgow Print Studio has been a local fixture and integral part of the city’s print scene since 1972. As an internationally renowned and esteemed pillar of printmaking prowess, GPS is invested in its many artists, with its two exhibition spaces, custom-built printmakers workshop, numerous teaching events and riveting exhibitions programme. Touring the gallery is like stepping far into the hinterland of each individual artist’s mind. Frequented by the who’s who of Glasgow, Mary Mary is anything but contrary in its appeal. In truth, this garden of contemporary art hosts works by a select few of established resident artists — their art is interspersed in galleries throughout the world. The best part? People in Glasgow get to see new works right on their doorstep. This low-key, lofty space boasts an exclusive feel and an air of ambiguity. It’s also a host venue for the Glasgow International Festival of Visual Art. The Hunterian is somewhat of a legend when it comes to Glasgow’s many galleries. It may be the oldest museum in Scotland, but the art gallery is where the real fun awaits. Highlights include permanent displays that span from the good old Glasgow Boys and the Scottish Colourists, to Rubens and Rembrandt. The Hunterian also houses an astronomical amount of works by James McNeill Whistler, the largest permanent display out there to be precise and the greatest single accumulation (think watercolours galore) of Mackintosh-related pieces — the interiors from his Glasgow abode included. Make sure to marvel at Eduardo Paolozzi’s bas-relief aluminium doors. Tramway, with its curious nooks and crannies and accepting feel is a fail-safe staple when it comes to top notch art galleries. The venue is a leading international art space where arts manifests in multiple forms from visual and performance, to music, film and theatre and anything else you can imagine. In short, Tramway is a treasure chest of contemporary arts projects destined to stimulate the senses and challenge entrenched precedents. Like most of Glasgow’s galleries, attractions and museums, this beauty is free.